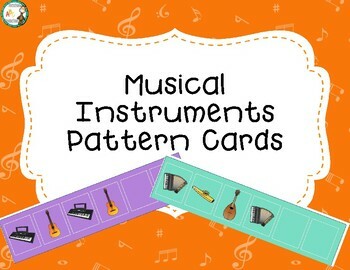 Patterning with a musical twist! This pack comes with 7 pre-made pattern cards and 2 blank pattern cards. 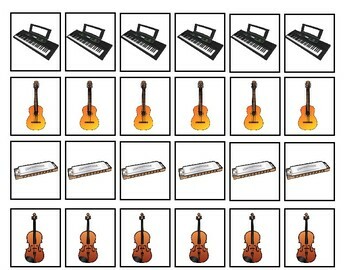 There are also 11 different instrument cards (6 of each instrument) that can be used to complete the pattern cards. 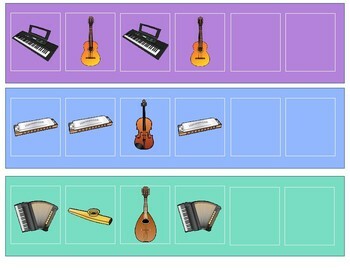 There is also a variety of pattern types (ABA, AABB, and ABC). 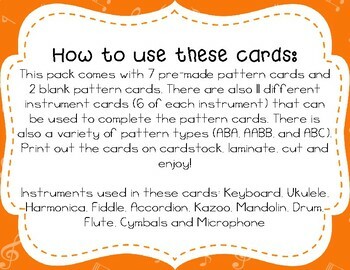 Print out the cards on card stock, laminate, cut and enjoy!